Aqua (Water), Copra (Coconut Oil), Shea Butter (Butyrospermum Parkii), Theobroma Cacao Pod Ash: produced from traditional natural process). 100% natural ingredients, is biodegradable, and contains no SLS, Detergents, Parabens and Synthetic ingredients. Our black soap is formulated using 100% natural ingredients, is biodegradable, and contains no synthetic colours, no preservatives. Using our Black African Black soap will helps condition damaged skin, and is effective in supporting the treatment of eczema, acne, dark spots. I would say SheaLife acquired heritage of natural beauty products as per new TRANDE. I received my order fewer days earlier i.e. 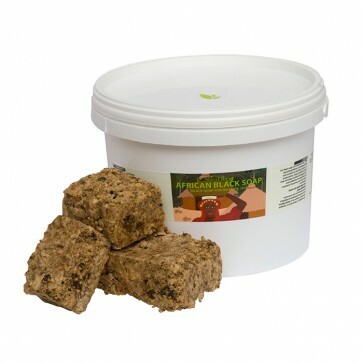 African Black Soap. I have bought for my daughter and it's outstanding and the most usable also. She loves to applying daily. It is made of a great organic quality that can't replace today's inorganic soaps.